Coastal rooms with perfect views. Picture window large enough to feel like you are sleeping on the beach in the beautiful four poster spindle bed. 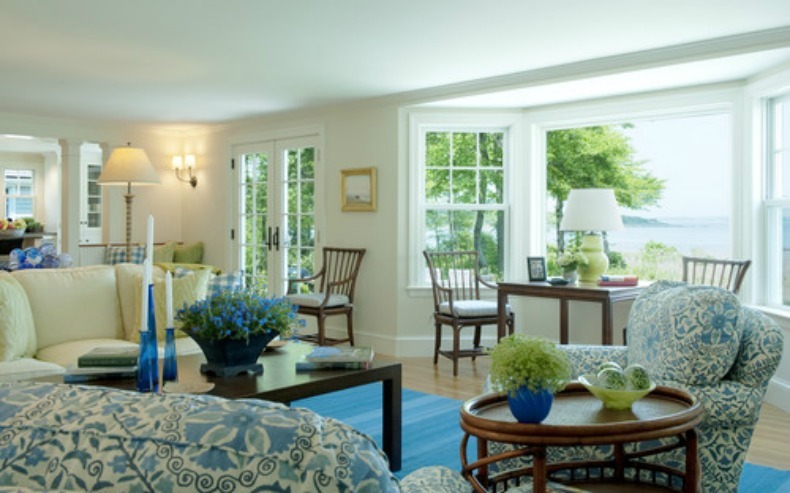 Sunshine and blue waters are just out the window of these lovely coastal rooms. 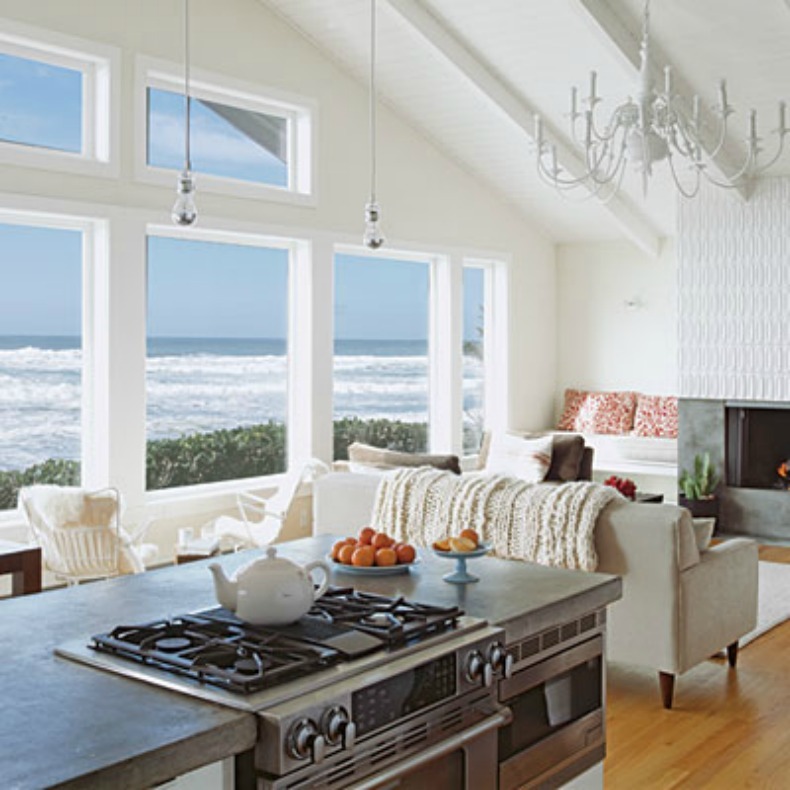 Great Kitchen and Living Room open space plan with spacious ocean views. White slipcover sofa perfect for gazing out at the waves. 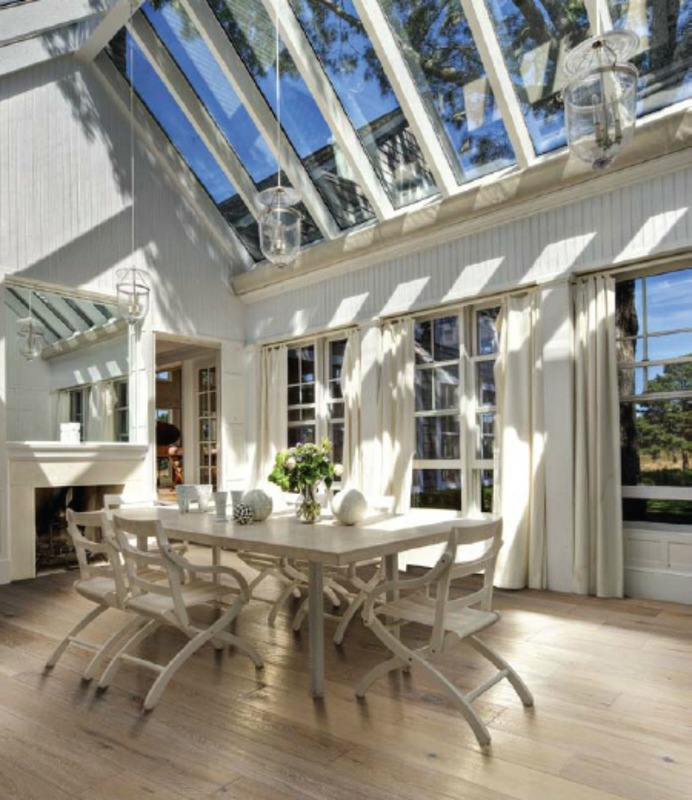 Amazing light flows into this Dining Room from the atrium or greenhouse style windows. Blue and cream print club chairs with cream slipcover sofa, anchored by a bright aqua blue area rug give this open Living Room it's share of color. 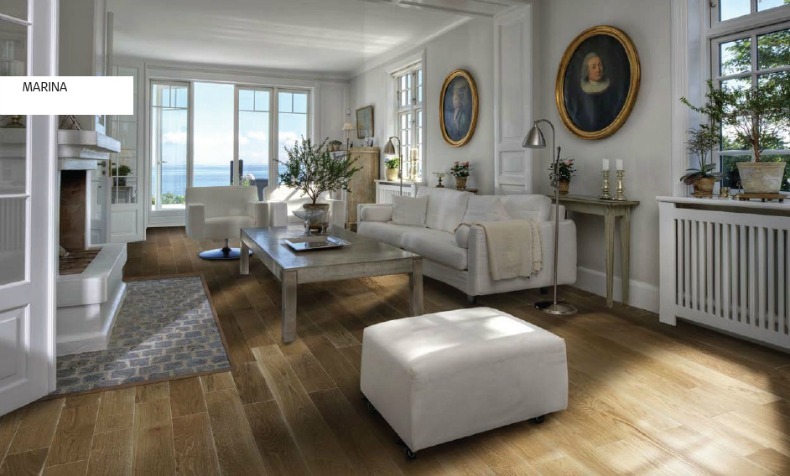 Modern with a touch of traditional all white sofas and chairs atop beautiful natural wood floors, looking out to a vast ocean view.